This guest post is brought to us by Mandy Scott, Office Manager at Natural Habitat Adventures. 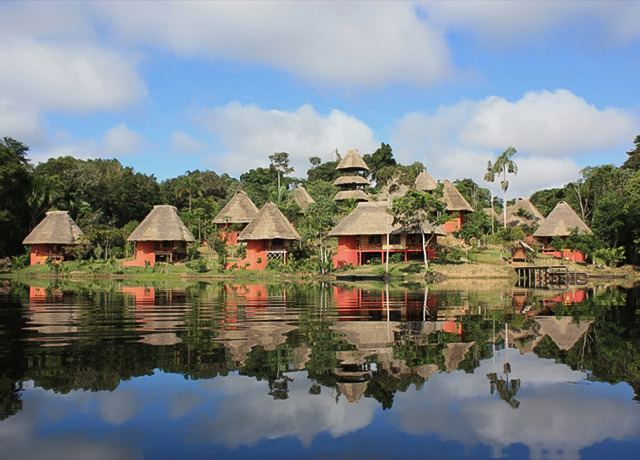 Nat Hab’s Amazon Lodge extension is offered to our guests visiting the Galapagos. This past spring I had the opportunity to head deep into the Ecuadorian Rain Forest to visit Napo Wildlife Center. The sheer beauty and diversity of this amazing ecosystem was enough to make this a trip of a lifetime. However, the icing on the cake was the story behind this amazing lodge and the people who run it. 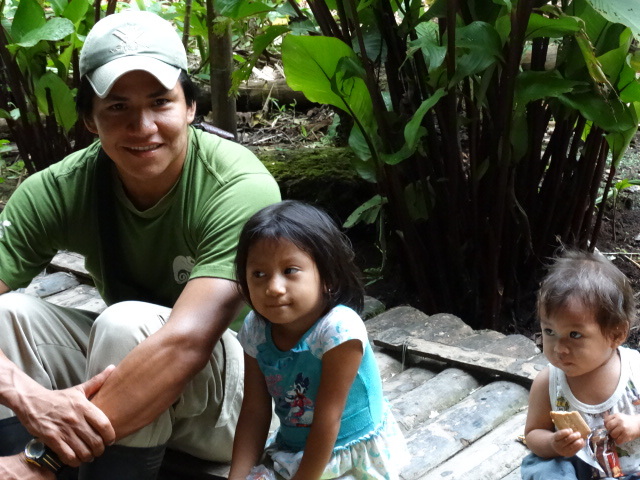 During a stay at the Napo Wildlife Center, one truly gets to see the many benefits it brings to the community. The entire staff, from management and guides to housekeeping and maintenance, comes from the community. While I was there, a huge construction project to upgrade the lodge was underway, which certainly employed many more people. My guide, Remijillo (Remy), was a wonderful example of the benefits to the community. He was at least tri-lingual, with the ability to speak not only his native Quechua, but also Spanish and English. Remy was incredibly knowledgeable about the flora and fauna of the region, and also about the medicinal uses of the plants of the rainforest. It was wonderful just to watch him as he listened to the sounds around him. He could identify birds and mammals by their calls, sometimes replicating the calls to bring the animals closer, and other times signaling you to follow him quickly as he brought you to the animals. A moment I will never forget is when Remy whispered for me to come with him, and all of a sudden we came across a huge troupe of wooly monkeys in the trees above us. Everywhere we turned, these huge monkeys were there, watching us! Along with the lodge, the community also runs an Interpretive Center, where the women share aspects of their culture with visitors. It was a great experience. 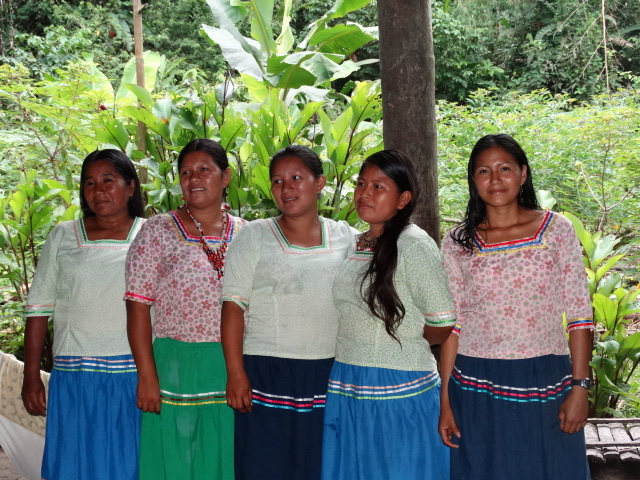 The women, in their traditional floral dresses, demonstrated their music and dances and all were invited to join them. They also gave a demonstration in a round house that was a common dwelling for their ancestors. At the house’s center there was a fireplace surrounded by pottery, and we were shown how they started fires and cooked. You even get a chance to try their traditional drink called chicha. Upon leaving, you get a chance to visit the small gift shop filled with jewelry and other handicrafts made by the people of the community. It was truly amazing to see a community embrace the perfect environment within which they live and use it as a tool for commerce, education and an overall improvement of their quality of life. The people of the community were very happy and proud of what they had created, and I was delighted to have them share it with me. Thinking about traveling to the Galapagos with Natural Habitat Adventures, or already have a Galapagos trip booked with us? 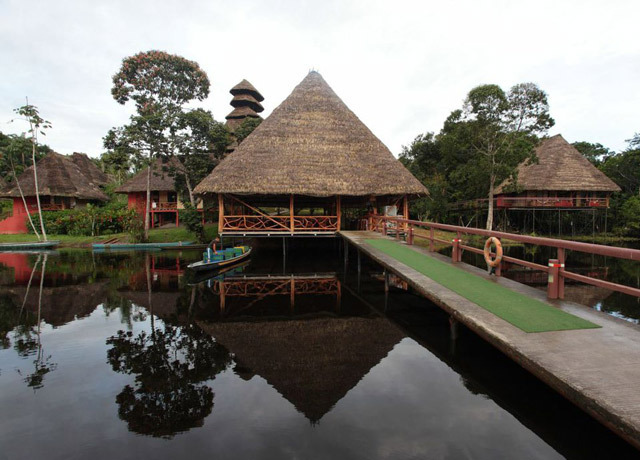 Make sure to check out the Extensions page to learn more about this Amazon Lodge and other options!